Willaton is the largest interstate road freight company in Gippsland. Welcome to Willaton Transport, a member of the Willaton Group. 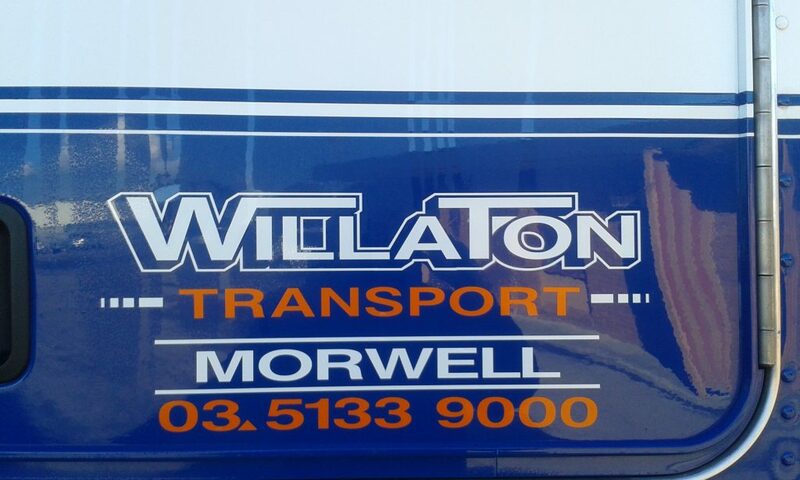 Willaton Transport is a family company located in Gippsland, Victoria with a local workforce of approximately 80 people. As a family company, we take pride in offering a personalised service to both new and long standing customers. We are flexible and responsive to our customers’ needs, and aim to forge long term relationships with clients and suppliers alike. Our business is providing a solution, rather than just a transport service – we work with our customers to suggest alternative options which may better suit their needs. With a fleet of over 60 vehicles, 130 trailers and a workforce of approximately 80, Willaton Transport seeks to engage with local people and local businesses wherever possible. Willaton: We Provide Solutions For Our Customers.